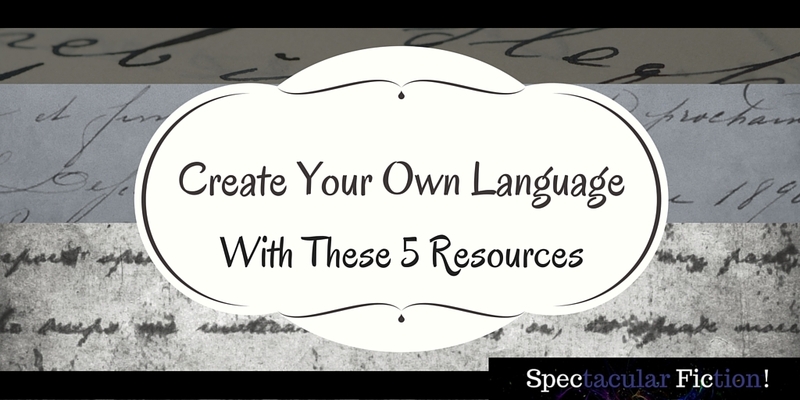 Want to create your own language for your setting, but unsure of how to begin? Check out these resources for constructing a language, from alphabet to slang words and beyond. Constructing a language, also known as “conlanging,” is a cool way to bring life to your fantasy or science-fiction setting. 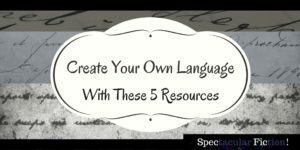 Though creating a language can seem tricky, these resources will guide you through the process of language creation from beginning to end. These guides are handy whether you’re seeking only words and brief phrases to sprinkle throughout a story or want to create a full language to use in your fantasy world. All of these guides helped me create Unjulean, a language spoken by the peoples on the planet Unju in a science-fiction/fantasy story I wrote in my teens. Looking for inspiration for your fictional language or want to explore the diversity of the world’s languages? Check out Omniglot.com, a free online database of alphabets and languages, both natural and constructed. Browsing this database can provide you with ideas for how you want your language to look and sound. While creating the alphabet for Unjulean, I found myself repeating a lot of the sounds from English. Looking through the catalog of languages on Omniglot helped me stretch my fictional language beyond the constraints of my native one. Once you have a vague idea for how This classic online guide to language construction provides a helpful overview of linguistic terms that can help you make a more realistic language, including alphabet, sounds, and vocabulary. Rosenfelder’s book also contains word lists to help you build a basic vocabulary for your language. This guide is available for free on Mark Rosenfelder’s website. If you want to spend a few bucks on the expanded guide, you can also buy it on Amazon. Another online guide inspired by the Language Construction Kit. This guide goes into greater detail on sound, grammar, and syntax, which is especially helpful if you’re not familiar with a lot of linguistics terms, like I was when I started creating languages. Available for free here. After using both Rosenfelder’s and Flores’ guides, Unjulean had a complete alphabet with corresponding phonetics and grammar and syntax rules to determine how to create sentences, along with some vocabulary. But alphabet and grammatical rules can’t exist in a vacuum. I needed a way to create additional words in my language and basic phrases to understand how my grammar would work in practice. If you’ve got the basic vocabulary done but still struggling to come up with words/phrases, Fantasist.net has downloadable phrasebooks (like the kind a tourist would use) and a slang phrasebook available here. While using these phrasebooks, I liked to imagine that I was a tourist from Earth visiting Unju. What kinds of things would be most helpful to learn? What phrases would help me get through everyday life? I found that in addition to expanding my language’s vocabulary, the process of creating such sentences helped me smooth out inconsistencies in the grammar that I had created. In the beginning of creating a vocabulary for Unjulean I relied on an excel spreadsheet. Once my language continued to expand, I found that I needed a more thorough database for storing these words. Once you’ve got your language built and created a decent vocabulary, Lexique Pro is a program that easily allows you to store vocabulary words for your language and even store pictures alongside each word. You can download it for free at LexiquePro.com. Once you’ve gone through the steps of creating an alphabet, building rules and constructing sentences, your language is all ready to be spoken by the people in your setting! What resources have helped you create your own language?